The business development Manager is mainly assigned to realize existing business opportunities and create new ones that fit in the company’s strategy. Executes necessary setup for existing business opportunities. Identifies new ones by through industry, publications and announcements. Manages new business deals by coordinating requirements. Develops and negotiates contracts; integrating contract requirements with business operations. Ensures good communication with all stakeholders. Maintains interactive relations with investors. Analyze data to explore potential markets. Improve an organization’s market position and achieve financial growth, defines long-term organizational strategic goals. Builds key customer relationships, identifies business opportunities, negotiates and closes business deals and maintains extensive knowledge of current market conditions. Previous experience as business development manager minimum 5 years. Excellent research & marketing experience. 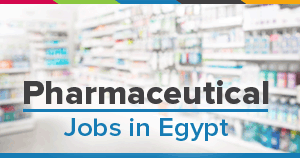 Experience in pharmaceutical or medical companies is highly preferable.